The Russian Interstate Aviation Committee (IAC) published the final report of their investigation into the fatal accident involving a Tupolev 134 jetliner at Petrozavodsk, Russia, blaming poor decision making in below-minima weather conditions. 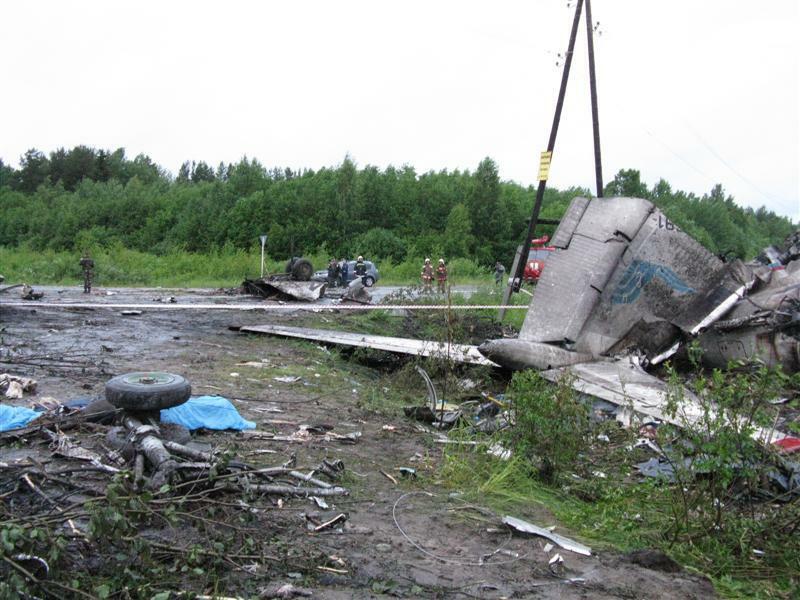 On June 20, 2011 a Tu-134 operated by RusAir on behalf of RusLine, crashed on final approach to Petrozavodsk Airport (PES). The Tupolev struck trees and crash-landed on a highway while on final approach to runway 01. Forty-seven occupants died in the accident; five survived. The investigators concluded that the airplane flew an approach in conditions worse than weather minimums for the airfield and that the crew failed decide to go-around. Instead the airplane descended below the minimum safe altitude in the absence of visual contact with approaching lighting and landmarks, which led to contact with trees and the ground in controlled flight. The use of navigation equipment that used satellite navigation to determine the aircrafts position, which was in violation of the Flight Manual Supplement for the Tu-134.